You’re exhausted. It’s been a long day. You can’t wait to hit the pillow because you know the moment you shut your eyes you’re going to fall into a deep, delicious sleep. Except you don’t. The Sandman simply refuses to visit, and you lie there, tossing and turning, eventually becoming more and more anxious as you watch the clock creep towards the time you have to get to get up. Eventually, you might get a smidge of sleep just before your alarm goes off. But if you’re unlucky you’ll watch the sun come up. Sound familiar? You’re one of many South African’s that, for whatever reason, are struggling to sleep. Worse yet, most of us can’t afford to lie in or take a nap, and for this reason, many are reaching for over-the-counter sleeping tablets to help them get a better night’s rest. But is it really better? Taking over-the-counter sleeping tablets, as well as other drugs that have drowsiness as a side effect, might knock you out for a bit, but they’re not able to give you the deep, restorative sleep that’s imperative for good health. Worse yet, a recent study has shown that anticholinergic drugs are linked to dementia. Anticholinergic drugs might sound fabulously exotic, but chances are you’ve got them sitting in your bathroom cabinet. They work by blocking acetylcholine, a neurotransmitter that signals your body to perform specific functions. In the brain, it plays a role in cognition and memory. In the body, it has an effect on muscle contractions. Thus, the world of anticholinergic drugs is a pretty broad spectrum that runs the gamut from certain antidepressants, Parkinson’s disease drugs, incontinence medicine and antihistamines. Antihistamine-wise, one of the most popular types is a drug called diphenhydramine. In South Africa it’s sold under several brand names to help those suffering from hay fever but is also used as a non-prescription sleeping pill because its side effect is drowsiness. While using it in the short term might be helpful, relying on it for what you assume is a good night’s sleep, in the long run, might have an adverse effect on your health. A study performed by the University of Washington in American tracked more than 3 500 men and women over the ages of 65 over a period of seven years. They considered all the drugs, both prescription and over-the-counter, that the participants used ten years prior to the study. During that time 800 of the participants developed dementia. When the researchers started to look for commonalities between the patients that did and didn’t develop the condition, they found that the group affected by dementia all took anticholinergic drugs. Interestingly, it was noted that taking an anticholinergic for three years or more was associated with a 54% higher dementia risk than taking the same dose for three months or less. In short, those who’d exposed themselves to these drugs the longest increased their risk dramatically. Knowing that taking an over-the-counter sleeping tablet could wreak havoc on your life, later on, should be enough to make you want to drop your pills in the bin, but you might find it interesting to know that the kind of sleep they’re giving you isn’t the kind your body really needs. In fact, even prescription sleeping pills that aren’t anticholinergic, aren’t doing you any favours. While these medications might put you to bed initially, they don’t stop you from waking up during the night and decrease your sleep quality because they actually speed up your brain waves. This allows you to enter the first and second phase of non-REM (non-dreaming sleep) that are very light, but prevents you from spending enough time in the third phase, non-REM (slow wave, deep sleep) and phase 4 REM (deep sleep). Ironically, this is the most crucial part of your nightly sleep as it is the deepest – the time when the nerve cells in your brain take breaks in shifts, and your body releases a host of hormones that help it heal, restore and ‘prep’ for yet another day. This is exactly the type of sleep you need in order to wake up feeling refreshed. If you don’t get enough of it, the result is a feeling we all know and dread – waking up having slept but still feeling exhausted. At Sleep Renewal, we believe there are four ‘pillars’ that are essential to good health – nutrition, regular exercise, stress management and gut health with sleep being the foundation of the pillars. If just one of your pillars is broken, every aspect of your wellbeing will be negatively affected. This is why getting enough top quality shut-eye is vital. Another one of our core beliefs is that it’s always best to get to the root of the problem and not just treat the symptom. For this reason, popping a sleeping tablet might offer short-term relief, but it’s not going to serve you in the long run. It’s merely a band-aid on top of a larger issue that, if left unresolved, can have disastrous effects on your health. Fortunately, sleep is our speciality. Our team of highly qualified doctors can perform a series of tests, both in and out of the clinic, to help you diagnose why you’re not getting the rest your body so desperately craves. Whether it’s due to a breathing disorder like sleep apnea, restless leg syndrome or quite simply mismanaged stress, we’ll be able to help you diagnose the problem and then address it. 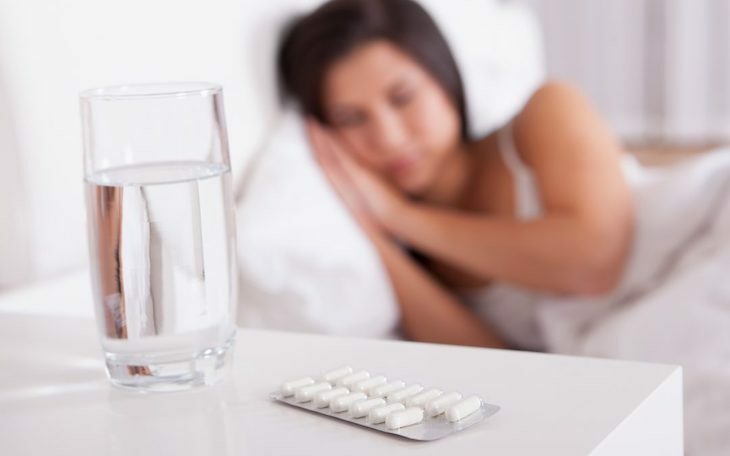 If you’d like to ditch your sleeping tablets for good, make an appointment with one of our doctors at Sleep Renewal. Together, we can help you get to the bottom of what’s causing your sleepless nights and help improve your pillow time.